In this post I’m going to show you how to lay out a killer content marketing campaign, from beginning to end, in a way that I use at SimpleTiger to achieve huge growth for our clients. For related tips about SEO inbound linking strategy you can check the interview with the top SEO’s from Philladelphia community. 1.1 What are your goals? 1.2 What are your visitor’s goals? 1.3 Where can you focus your efforts to achieve both ends? 5.1 What systems am I referring to? First and foremost you have to answer three questions to give yourself direction in your content. You have to know where you’re going, before you get started, otherwise you’ll just be wading through an aimless sea, and going nowhere fast. What are your goals for this content? What are your visitor’s goals? Where can you focus your efforts to achieve both ends? Pretty simple right? Let me break it down for you. What are you trying to achieve? Are you trying to get more clients? Are you trying to get more email subscribers to follow up with with other promotions? Are you trying to get more inbound links to rank higher for a certain key term? What’s your objective. Simplify this, this will be your focus for the entirety of this content’s lifetime. What is someone who will come across this content trying to achieve? Who would benefit from this? Is it someone looking for information, or just trying to be entertained? Once you know what they want, who are they? What do they like? What are they like? Where might they frequent on the web? What is their little silo of the internet that you might be able to tap into? What blogs do they like? What social media communities do they like? Figure all of this out, this will be how you reach out to them. If the visitor is more likely to connect to something purely visual, this is great information to have. This means you shouldn’t build out a blog post for this specific piece of content, but instead possibly build an infographic, or a slideshare deck. Figure out the medium to tell your story best, figure out the perfect story to connect to the viewer, and figure out how you can connect the content to them. Even though content marketing is basically a piece of SEO, don’t leave it to search engines to do your work for you. The best way to guarantee your presence in search engines, is to proactively seek out these interactions that will in-turn grant you the links, shares, and visitors that search engines will reward you for. Simply speaking, depending on where you’re at you could have resources at your disposal that could make this entire process so much easier, or potentially not. This is information that you need to know though, and to be familiar with moving forward so you’re not leaving any free fruit up for grabs. There are three parts to this, simple in nature, but can be huge in promoting your content and taking advantage of information so you don’t repeat potential problems in the future. If you have any previous content on your site, of any kind, do an audit and figure out what works the best. There are plenty of resources on content audits, the basis is to figure out what works best for your audience, and what you’ve done in the past that has connected the most, and where. Audit your competition, and keywords. 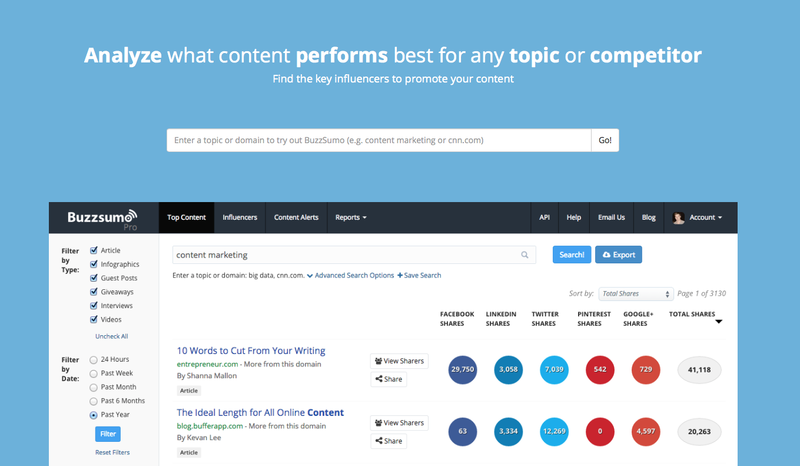 Using tools like BuzzSumo and OpenSiteExplorer take your top competition (online, you don’t need to focus about offline competitors) and analyze them to see who has been linking to them, what media outlets have been mentioning them, who the authors of those posts were, and what posts they’ve had that got shared the most throughout your community. Find out where the juice is flowing from, and why. Basically you just need to know where all the influence and buzz is coming from in your community. Is there a single social media group that has a massive presence? Is there a forum that has specific resonance with your audience? Is there a blog that has a ton of sway with your potential customers? All of these should be taken note of and closely examined and engaged with to try and create opportunities to contribute or give information to. Always take the 80/20 approach to your content, while you need to be consistent, it is true that sometimes there will be one post that contributes 80% of your traffic for a given period of time, and usually it’s because you positioned it right in the market, it got received well by the community, linked to and shared a lot, then ranks very well for a keyword that will continue to give a ton of traffic for a long time to come. These aren’t just dark-shots in a barrel though, they can be planned, and they should be planned. Follow big sharers or “influencers” on social media, and connect with what they are sharing. Take note of everything they share and pick up the patterns between them.Using FollowerWonk you can do this pretty easily on Twitter, to get a cloud of information that people share most within your community. What you want is to either entice them to share, share something that you know they want to share with their audience, or if possible, loop them in to your content so they will have vested interest in sharing it to their audience. This is simply leveraging a large audience to adopt a larger audience for yourself. Find the big linkers from your previous research and try to entice them by your content. Either reach out to them pointing to your new content in a carefully crafted outreach email or through mentioning them on social media where you could get a less-invasive retweet or re-post. Also, find the big content contributor networks, guest blogs, and publications that drive a huge force in the industry, don’t stop until you have contributor access to at least one of them, and use that access to post valuable information as often as possible. Publishing on off-site publications is one of the fastest ways of building a bigger audience of your own. Find big syndication or guest posting possibilities. If you can get a very targeted blog that you’re allowed to guest post on, and get buy-in from that person’s audience, that can be even more influential and personal than getting contributor access to a large publication. It might have less reach, but it has a more targeted reach, and the more targeted the audience, the more likely it will turn into something beneficial for you. Syndication is a nice thing to have access to too, because you can essentially replicate content you have already produced in a different medium to garner even larger output from energy already spent. Think turning a blog post into a slideshare presentation, or an infographic, or even just shorter posts on different publications like Medium. This is basically where I tell you to batten down the hatches and be ready for the onslaught of incoming traffic. Hopefully you succeed in all of the above, then you need to really pay attention to this section, but regardless of if you get 10% or 150% of the potential from this guide, you’re going to be happy to have certain systems in place for what you do receive. What systems am I referring to? An email list, ready to collect email subscribers and port them to a list like MailChimp (my recommendation) where you can easily organize lists and send emails with nice templated designs. 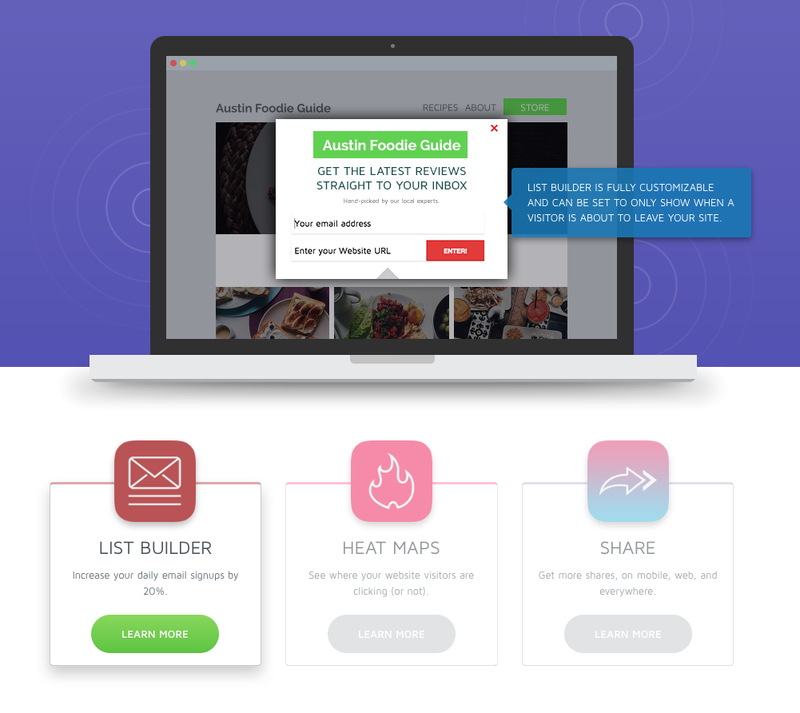 Call to actions and sharing widgets set up to garner those email subscribers and precious social shares. SumoMe has a robust suite of tools that can be set up on any site to easily increase the amount of social shares you get on social media (especially from mobile) as well as call to actions that will set your email list gathering into hyperdrive mode. Robust analytics, at the very least Google Analytics, but potentially for the more robust data, Kissmetrics, and if you’re trying to hone in on the usability of your blog or website, CrazyEgg, Visual Website Optimizer, or even (if you have campaign-specific landing pages that you’d like to A/B test) Unbounce. All of these will help you get more informative data from your website that you can use to sculpt your website and take better advantage of future traffic. Quality servers and hosting that can properly cope with the potential onslaught of traffic that could result from a viral or some-what viral piece of content. Trust me, the last thing you want to happen when something goes very right is for your entire site to crash and it all go dramatically, horribly wrong. I recommend studying cloud hosting and finding a provider that suits your fancy. Other than the on-site stuff, you should obviously have your social media profiles well laid out, cohesively designed, and ready to interact with any shares that come your way. Set up a content calendar that you can constantly append new content to, schedule, iterate with your team, and easily use to edit and write new content. We use GatherContent internally, because it can easily be broken down by client, but it can also be nice for in-house teams working with a lot of new content, and needing to create a schedule of posts and rich media.With this in place you can easily add new topics, iterate on those topics, schedule and organize what content should be coming out in the next month, next quarter, or even next year, and where. Set up a posting consistency and stick to it as well, this can’t be stressed enough. If you’re consistent with your content, your users will get used to coming back and checking up on you weekly or even daily, depending on your frequency. Just make sure you keep it to something that you can be consistent with. If possible try to set up guest contributing to your own blog, and setup editorial guidelines for writers to follow. This can be dramatic in its effect. If people bring in their own audience to yours, however small or however large, it’s a fresh audience, and you’re getting free (unless you pay them for it, which would give an added incentive), topically relevant content that will live on your blog forever, and continue to send traffic long after you’ve forgotten about it. The big score is if you can get very influential writers with a large audience to write on your blog, because then you get the benefit of a large social audience, as well as quality writing, all on your own turf, without you having to put in the effort to write or contribute the content yourself. Once you’ve got your systems set up, you know where you are, you’ve answered all the questions, and you know what’s going to give you the biggest bang for your buck up-front, it’s just time to get down to the nitty gritty. Get posting. Start publishing against your content calendar, focusing as much effort as you can on your own site, as well as trying to do off-site publishing as much as possible to attract new readers from different audiences. Keep tabs on what’s working and what’s not, using your analytics and content audits. Empathize with why the posts are working or not. Is the subject right? Was it a good headline? What headlines are working best? What kind of content is the community receiving and sharing most?If there was a piece of content that was really successful, take the time to study it, and figure out what was so successful about it. Use the time like a replay in a player’s locker-room to figure out what is the most effective use of your time. 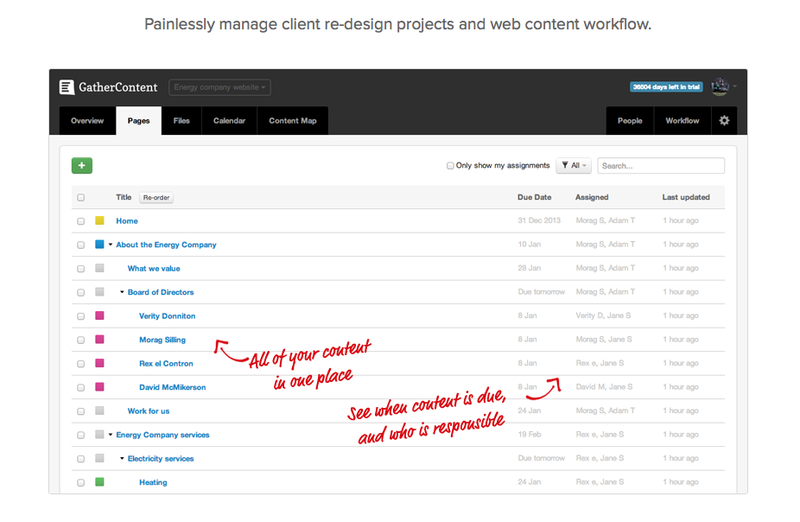 Set up CrazyEgg heatmaps on successful content to see where people focus the most within a post. Make sure you pay attention to what quotes people share from your content, and where they share the most. Take note of all of this and plan accordingly in the future. Focus in on the syndication or off-site publications that are working well, cut out the ones that aren’t working as well. Some sites will just by nature send better leads than others, that’s fine, try to figure out which ones they are and focus in on them.If a post is getting a ton of social attention on a certain publication, take note of that for when you really want to focus on the social side of your operation. If you dramatically need more leads focus on the publication that sends you the best leads. Make sure you use the notes from #2 to move forward and make informed decisions here. Follow up with linkers, sharers, and even detractors. Be an opportunist here, if someone is linking to you there is potential for more, guest posts, social shares, etc. If someone is sharing your content, the least you can do is reach out and thank them, potentially they will follow you, maybe even subscribe to your email list, then share more.If someone has shared a post of yours that you know a specific post would be a good follow-up to, share that post with them, most of the time they will be really happy to give a look at it as well. If there are detractors in your comments, take the time to own up to it and talk through things with them, see if they have a point, and if they do, empathize with it. This can be a really easy way to turn a detractor into a fan. Fill your calendar back up with content based on what you have found out works, and using all of the opportunities that have come your way through the other content you’ve shared. The entire process is a cyclical thing, an ongoing effort that compounds in its results over time. Keep running through this list. After you’ve completed it once, re-start at #3, and keep going from there, stopping every quarter to re-visit #2. Want to know where do you stand with your website’s content? 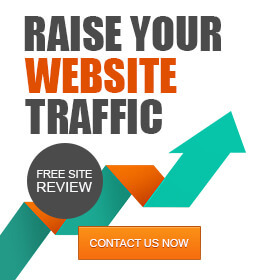 Contact us now for a free SEO analysis! If you can empathize well enough, and follow up well enough, you will be extremely quick to compound your audience and create a far stronger presence than any of your competition. If you really liked this guide, and it helped you a lot, I actually have a quick follow-up for you. We at SimpleTiger are writing a new ebook that will have all of this information and more with mini-interviews with some of the best experts on these individual subjects, we will tackle all the biggest aspects of content marketing head-on. Subscribe to our blog to be the first to get it!